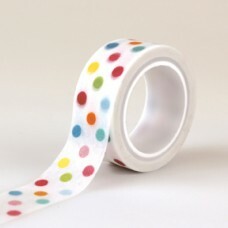 Echo park paper - I love sunshine decorative tape dots. All pieces are acid and lignin free. Made in the USA.